For most Domestic & Japanese cars and light trucks. 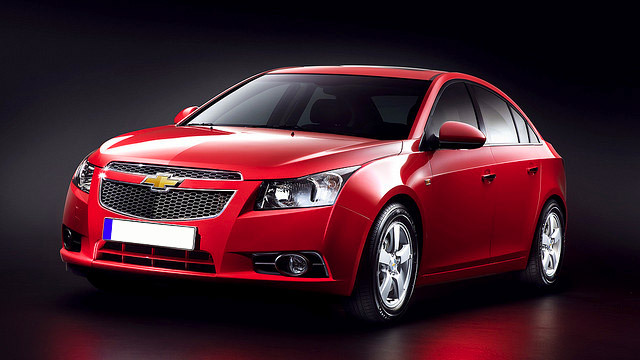 Chevrolet owners choose Convoy Auto Repair for car repair. We have been proudly providing auto service to car owners throughout San Diego for over 40 years, and we have enjoyed every minute of it. At our facility, we boast the latest equipment, tools, and technology, along with traditional, family oriented customer service. We think this is the best combination, especially when it comes to Chevy service. "Service was awesome and admitted didn't need synthetic oil, explained why and saved me money. I REALLY appreciated that! I also like they are not pushy with services that are recommended. I'll for sure be back." We like to think of Convoy Auto Repair as one in a million. We boast an array of esteemed awards and certifications, the highest quality tools, technology, and equipment, and an unmatchable care and loyalty for our customers. To schedule an appointment at Convoy Auto Repair for Chevrolet car or Chevy truck service, call us. Stop by our car repair shop at 3909 Convoy Street in San Diego any time. You'll be glad you did.